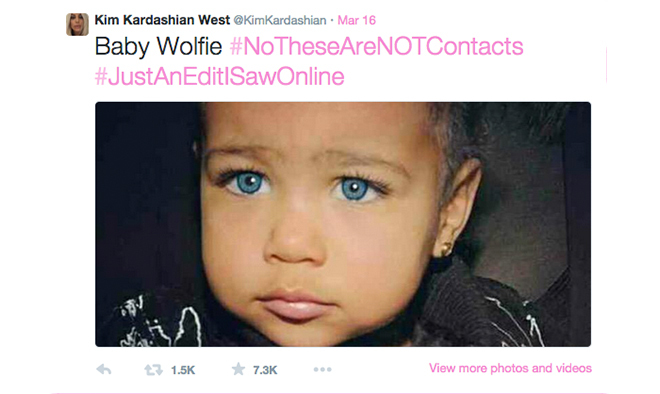 Did Kim Kardashian Make Baby North West Wear Contact Lenses? 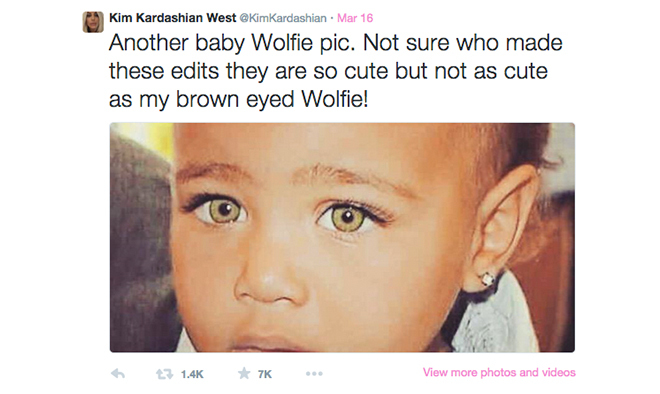 Kim Kardashian was in hot water on Twitter this week when she posted pictures of brown-eyed baby North with dazzling blue eyes. Some of her 30 million followers were quick to accuse Kim of making the toddler wear coloured contact lenses. Thankfully, there was a simple explanation – the images were digitally altered. Kim was forced to change up the captions on the snaps and explain they were just edits she’d found online. 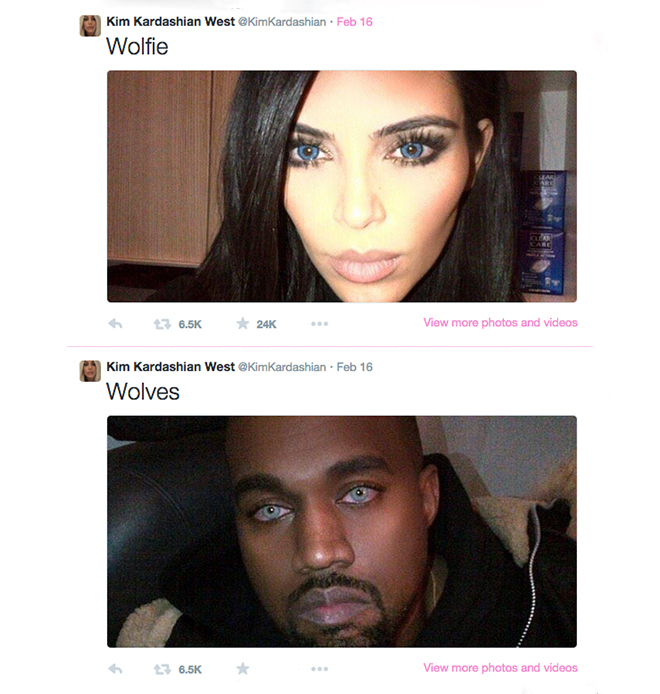 The “Wolfie” comments refer to hubby Kanye West’s look in his music video, Wolves, where he sports blue contact lenses. Kim also tried out the look, posting the results online. Are coloured contact lenses safe to wear? Cosmetic contact lenses are great for changing your eye colour and giving you a whole new look. But buying them from fancy dress shops and other non-registered sellers could put your eyes at risk. As a rule, you should take the same amount of care when buying and wearing these lenses as you would with any other contact lenses. You should have your cosmetic lenses fitted by a qualified professional who offers on-going care if you need it. What are the risks of coloured contact lenses? If you get your lenses fitted properly by an optician, and handle and care for them as instructed, the risk of eye infection is very low. Problems with cosmetic lenses typically happen if you buy your lenses from an unregulated supplier, or don’t follow instructions about use and hygiene. For advice, please get in touch on 01268 752919.